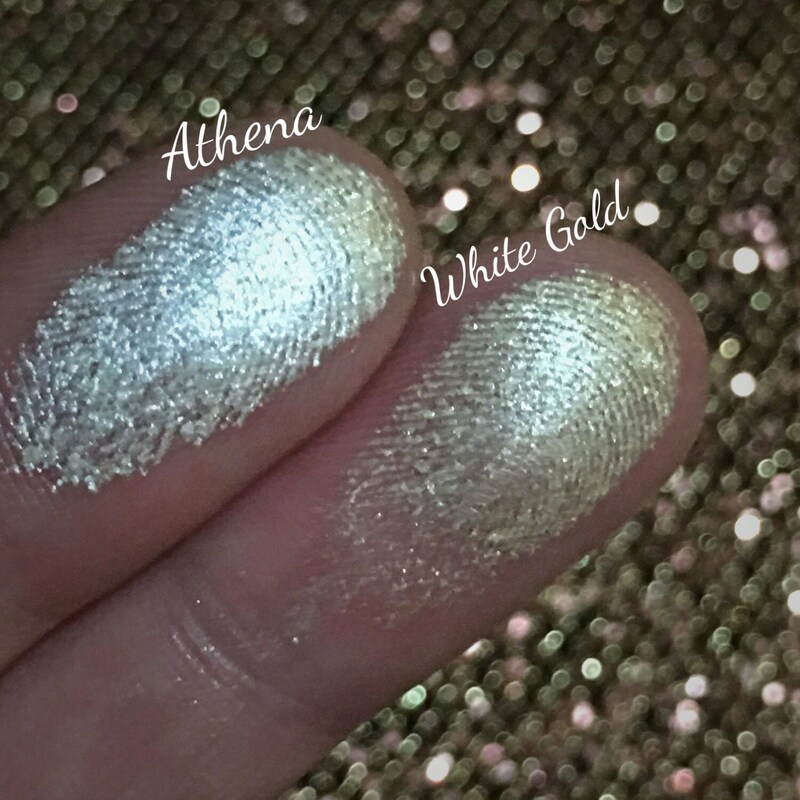 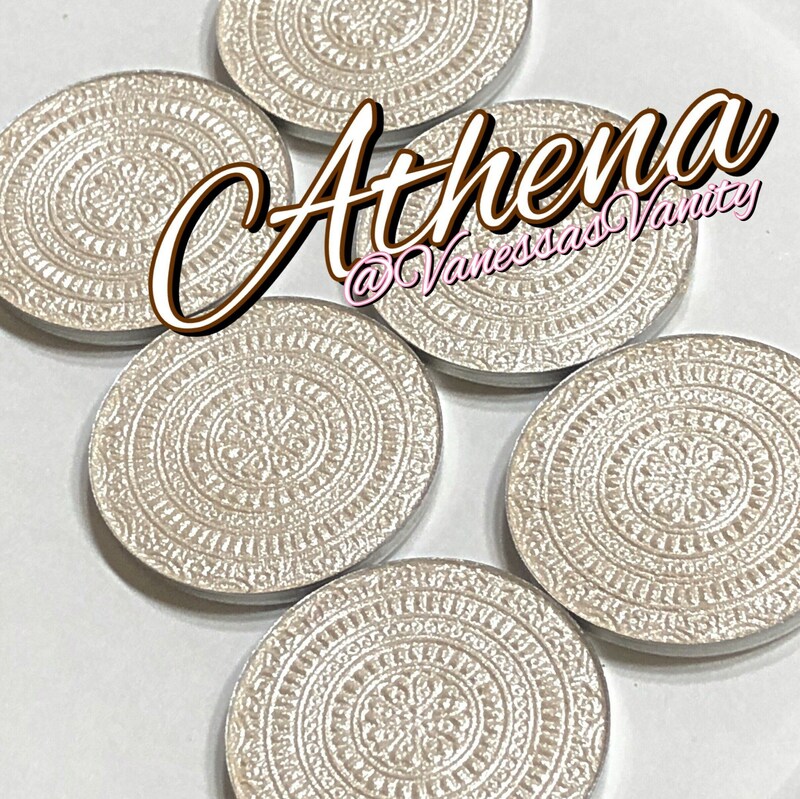 Athena is a shiny white with reflects of both silver and gold! 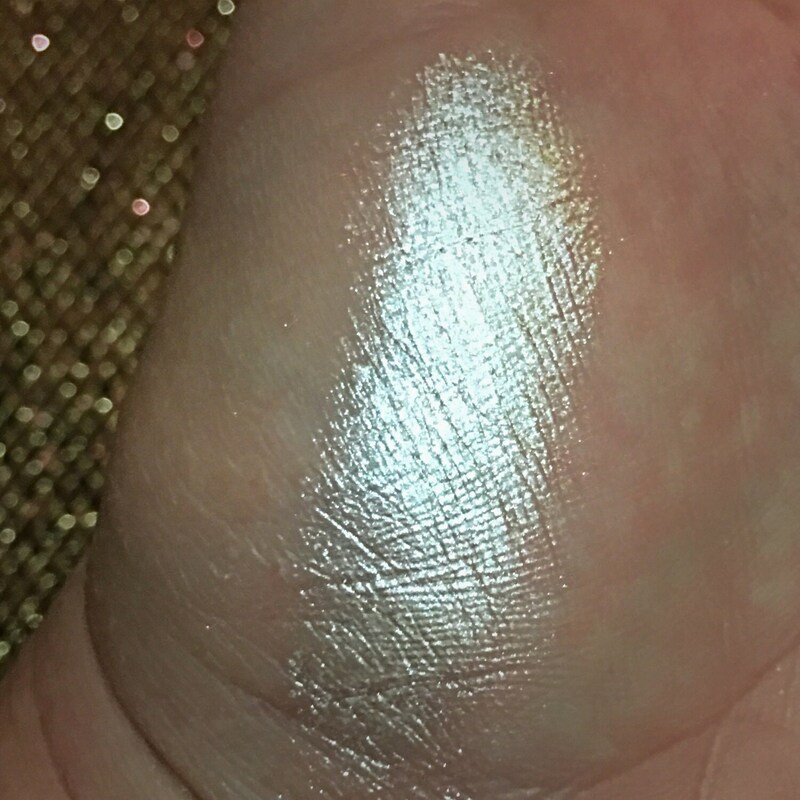 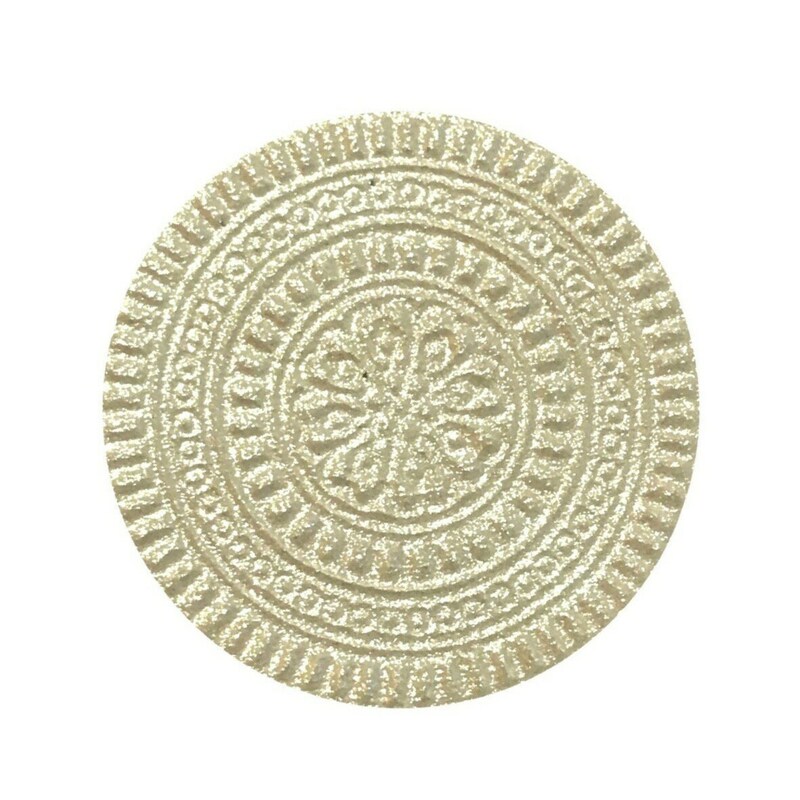 This is an extremely shiny highlighter without being "glittery"...This gives off the most STUNNING "wet" look when applied lightly with a brush,and can easily built up for maximum opacity. 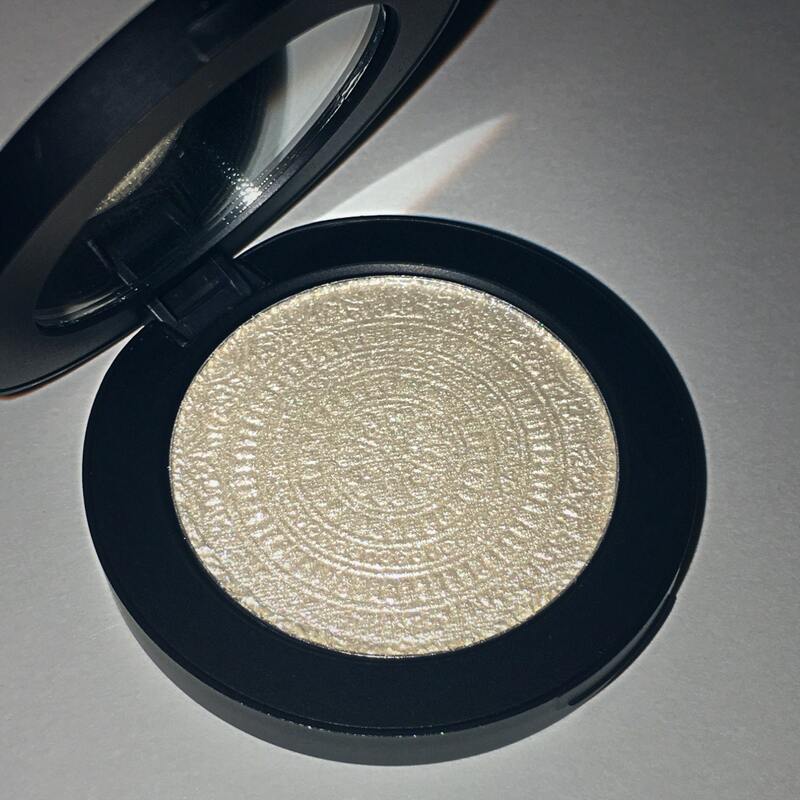 Also a fantastic eyeshadow, and inner corner highlight!